Greetings and welcome to the inaugural post featuring just a few of our Doodlekit customers. In this first post, we felt it fitting to kick off our new series featuring those customers going solo - as was the initial purpose behind Doodlekit. We had many great solo-preneurs and one-person organizers submit their sites for review, and the picking was difficult. In the end, we chose sites that we felt like embodied much of the spirit and characteristics of Doodlekit and what we believe makes for great website experience. So let’s get to it, shall we? 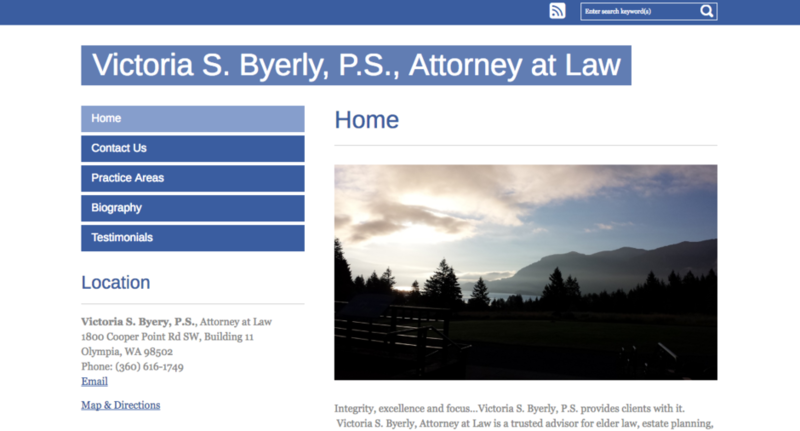 Victory S. Byerly is an attorney from Olympia, Washington. Right away, we loved that her site felt extremely well thought-out, neatly organized and cleanly designed. The blue colors she uses are complimented by her nice use of photography. It's easy to get around her site and understand the type of law she practices. We reached out to Victoria to find out a little about her business and what her plans for her website might be. She stated that her favorite part about her business helping her clients. “It's rewarding to build relationships and work on projects that have meaning either on a personal level to a client or to the community,” she said. As far as Victoria’s website, she says that it “helps my business reach potential clients so that they can make decisions with respect to engaging legal services.” Victoria says that her future plans for her site will be to continue updating and promoting on a regular basis. Congrats, Victoria on your business and on your great website. We can’t wait to see your future success! Ashley McNeely - Brown Sugah Baking Co.
“My favorite thing about my business is that it is mine. I came up with the name, the website, the marketing and all of the recipes are my own. Baking is my passion and I love the fact that I can easily share my product with anyone,” she said. 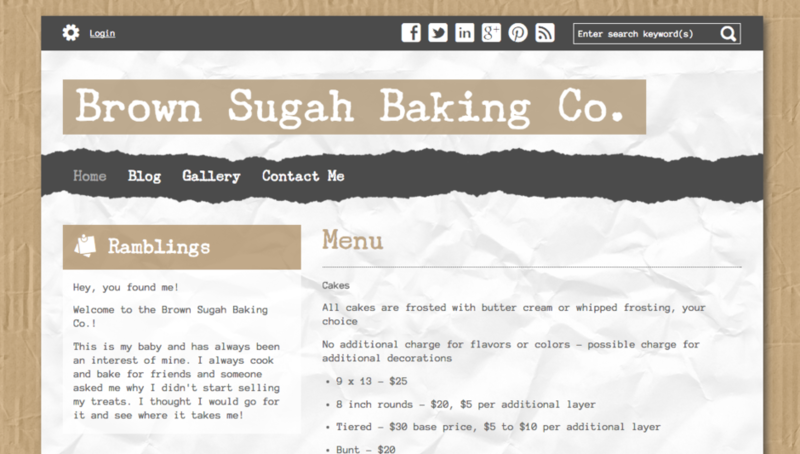 What does the future hold for Brown Sugah Baking Co.? “My future plans for my website is to make to grow! If I can get enough business I hope to buy a domain and hopefully expand my business from my apartment to an actual building,” she said. We’re excited for Ashley and we can’t wait until we see a Brown Sugah Baking Co. near us! Go Ashley! When asked what we can expect to see as she grows her website, she said she planned to keep using Doodlekit in her classroom next school year as well, so that if students are absent, they don’t have to ask her, “What did I miss in school yesterday?” They can check her website and find out! 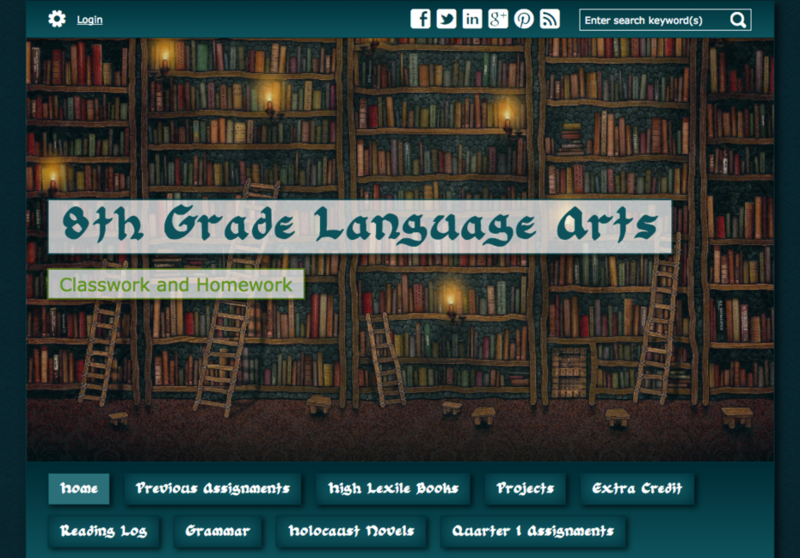 We love how Ms. Bernhardt’s website has become an integral part of her teaching, and can’t wait to check in on her progress! 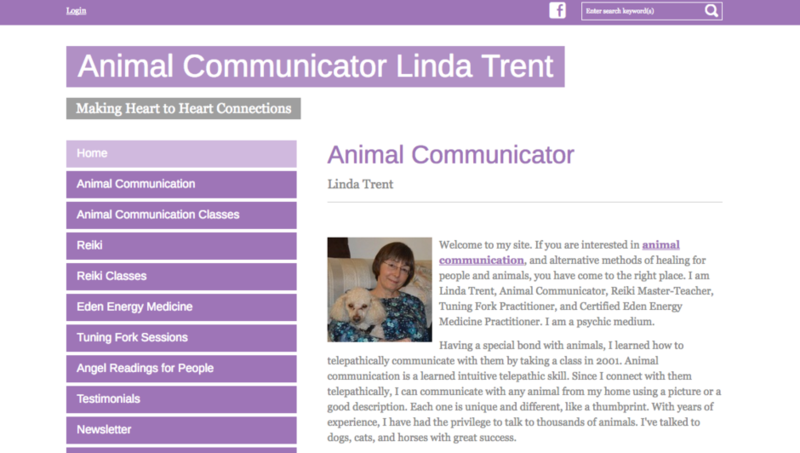 One of the things we noticed right away about Linda’s website, was the great use of her sidebar navigation. It’s clear that Linda has a lot of wonderful specialties, and the organization of the left sidebar helps her users get right into what they’re interested in within one click - a website design best practice. One of the other things we wanted to highlight about Linda’s website is her use of client testimonials. Offering users validation from others is a powerful way to reduce barriers to generating leads and sales. Linda has a whole page dedicated to just other people’s comments about her services. Lastly, we love that Linda has a newsletter sign up form. This is a great way to build your list and create loyalty. BONUS: she has a PayPal button! Great way to use your site for sales! Great work, Linda! When asked about how her website has enabled her to do more with her business, she responded by saying, “my website makes it easy to make changes anytime I want. I can change the layout and change the whole look and feel of it to keep things interesting for people. I can add pictures, links, forms, and I'll be starting my own blog shortly. I've received many compliments on my latest layout change. With paypal integration, it's easy for people to pay me online securely. I love how easy it is and how great it looks,” she said. As for Linda’s future plans for her site, she just recently update it, so she thinks her next step is to start creating content for a blog for people to follow. She said that she’s continually looking at ways to streamline and make it simple for people, and loves the fact that is mobile friendly. We’re so lucky to be a small part of these solo Doodlers’ organizations and all the people using Doodlekit to do amazing and brilliant things. We plan to feature more businesses all this month, so if you haven’t signed up yet, you can still submit your site for consideration.